In this article, we will discuss in detail about Sandhya Marines IPO review along with in-depth analysis on offerings, company’s financial, Sandhya Marines IPO reputation, allotment status, grey market pricing, Sandhya Marines IPO release and close dates, price and many more. The seafood exporter, Sandhya Marines IPO offers the issue of Rs 300 crore and offer Rs 1.26 Crore sale of equity share by the following shareholders – Dr K. V. Prasad, Ms K. Suryanarayanamma, K. Anand Kumar and K. Arun Kumar. The proceedings from the Sandhya Marines IPO is for the set-up of a new Processing Unit for shrimps, new corporate office, mill-facility for fish food and Debt repayment. Karvy Investment Banking (Karvy Investor Services Limited) and SBI Capital Markets Ltd will be lead managers of the company’s Initial Public Offer (IPO). Karvy Computershare Private Limited is the registrar to this offer. The main objective of this company is associated with fish farming & culture and business of processing, packing, export & import and other similar business in marine products. It is expected that by 2022, the shrimp production in India can reach a volume of more than 1 million tons and the growth rate at CAGR of 11%. (d) Aqua Labs/ Disease Diagnostic Labs Promotion. The IPO will be up in the stock exchange for subscription probably in the 2nd week of May 2018. We will update the data of Subscription once it is declared. The issue size of the IPO is around INR 300 crore and the secondary market sale of 12.6 million shares by the promoters. Sandhya Marines Ltd was incorporated in the year 1987. This company is based out of Hyderabad, Andhra Pradesh. 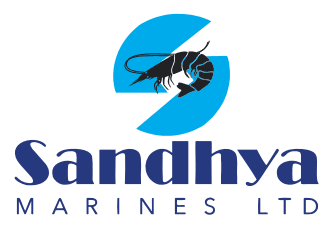 Sandhya Marines Ltd is seafood product exporter and has filed its DRHP (Draft Red Herring Prospectus) under SEBI for IPO permission. In year 2017, Sandhya Marines generated a total revenue of around Rs. 528.84 crores jobs, which is 47% up (from the previous year), perhaps the company profit increases by 48% to Rs 32.74 crore. Sandhya marines is an exporter of frozen seafood products that are ready to cook and ready to eat. These products are made from white shrimp. These products are exported across North America, Europe and various parts of Asia. There seems to be a potential growth in the last five years, which is almost 5 times. So, the profit in the future seems equally in the bright side. Track Record of Robust Financial Performance and Profitability. 31 of the respective years. statement of profit and loss + Other Reserves created out of profits but does not include revaluation reserve. The Grey Market Premium of Sandhya Marines IPO has not been released yet. It will release 2 weeks before the IPO issue date.